According to Infidelity Statistics, more than 40% of couples who have cheated on their spouse have ended in divorce. Infidelity Statistics state that 57% of men and 54% of women have admitted to adultery. In the same study, 74% of men and 68% of women state they would have an affair if they knew they would never get caught (Redmond, 2006). One would wonder if monogamy and fidelity in relationships/marriages has gone out the window after reading these facts. The statistics however, are really not the true picture. We don’t really know what this means as so much depends on how the survey was conducted and the sample size used. When you struggle with your partner, you are struggling with yourself. Every fault you see in them touches a denied weakness in yourself. The purpose of this article is not to show the impact on affairs in marriages. We all recognize that; but rather, to illustrate how a marriage can survive, grow and even flourish from the shock of an affair. First we have to acknowledge that an affair may be the result or manifestation of many underlying causes. 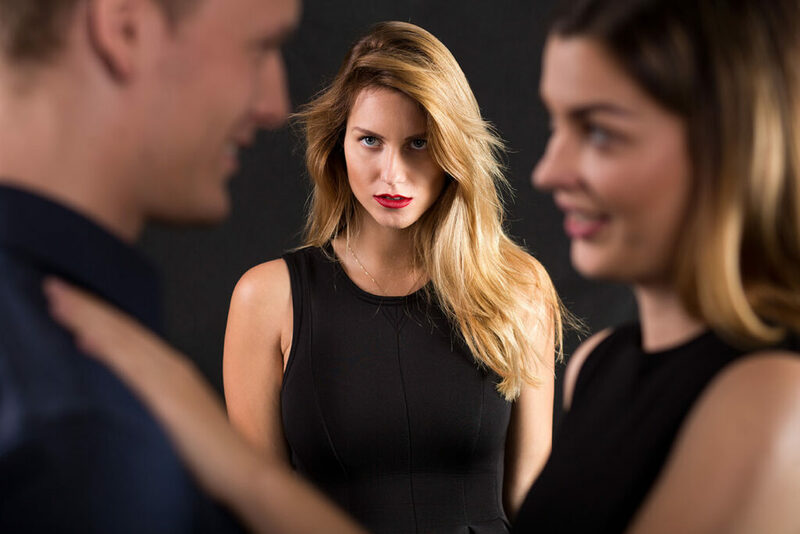 Quite often if partners could communicate their feelings in an open, honest manner to each other without criticism, judgment or stonewalling, perhaps an affair might not have been the result. To go a bit deeper yet, many people are not in touch or aware of their feelings thus leaving them vulnerable to going outside of their relationship too often to get their needs met that might have been met if they had talked to one other. Between stimulus and response there’s a space. In that space lies our power to choose our response. So, here is the question. What is the process that needs to happen to restore the relationship and clean up the relational space; a space where the partners and their children (if any) live and play? Is there a possibility for repair and healing? Not only is there a possibility but a very high probability if both partners want to find a way to salvage their relationship. It is essential that both partners are willing to learn how to shed their survival roles and perhaps the first time, become authentic. This is the gateway to intimacy. In learning how to achieve authenticity, the couple is now able to see and hear one another with a new set of eyes and ears. It takes a trained therapist who understands that each partner lives in a different neighborhood. Each neighborhood has a different story with a unique history that created distinctive experiences. Each experience fashioned filters that make their perspectives and understanding different from one another. The objective is to learn about those differences with the purpose of knowing the partner in ways that may have never been revealed before. The content doesn’t really matter. It’s the essence of each other that must be revealed that is most important. There are many modalities in couples counseling that can transform a broken relationship into a vital, meaningful, healthy connection. In her workshops with couples, Hedy Schliefer role models connection by walking around a room filled with couples heart-broken, in deep despair and pain with a yearning to re-connect. They have chosen this path as opposed to racing to their respective lawyers to give their relationship a chance to heal. As she teaches the essential concepts of her work, she strolls around the circle looking into the eyes of each participant to illustrate presencing. What is presencing? It is looking into the eyes of each other with intent to reveal who we really are for the expressed purpose of being seen by our partner. Schliefer teaches the concept of the three invisible connectors: the relational space, crossing over the bridge and the encounter. The relational space is the sanctuary where the couple lives. Crossing over the bridge to our partner’s world for a visit in their neighborhood becomes the encounter. It is not a conversation or dialogue. The host shares something of great importance with her/his partner about their neighborhood that they want the other to know. The art of listening and mirroring back is the role of the visitor. There is a precise structure to the encounter which is facilitated by the therapist. Schliefer does not refer to her role as a therapist, but instead, as a teacher. She holds the space for the couple in the service of their relationship while she instructs them through the process. The couple learns a skill that they can take home and use when they want to grow their relationship. The concept of “a problem to be solved” is not in her language. She refers to a conflict as “an opportunity to grow.” The encounter is the core of presencing so that each partner is able to bear witness to the essence of the other. The result is transformational. To truly appreciate and understand presencing is to recognize the symbiotic relationship between a mother and child. This is the foothills of connection. In his video, Still Face Experiment, Dr. Edward Tronick (Tronick, 2009) illustrates the dynamic between a mother and child to show how essential presencing and bonding is for human beings. It is not just in the first stage of life when we are in a symbiotic relationship. Although not symbiotic, the need for connection continues throughout our lives. The lack of presencing creates frustration and disconnection. Frustration and disconnection ruptures our sense of peace and well-being. When we disconnect we go into crisis. When this occurs, partners are triggered for becoming unfaithful even if it is ego-distonic to one’s value system. The need for connection is so powerful that it trumps values, mores, norms and intellectual functioning. It is on the deepest level of our brains that these needs occur. The need for connection is part of our DNA. When the mother and child are in connection, bonding is evident through the eyes. Too often in this mad and crazy world of technology we have lost the human connection, unable to look into the eyes of our loved ones. Our eyes and ears are focused on devices dependent on batteries or electricity. We have slowly lost touch, both literally and figuratively with our partners. We have stopped seeing each other. Our eyes and ears are tuned in to the television, computers, I pads, electronic instruments or cell phones. We have become mechanical and robotic, paving the way unwittingly to a loss of connection with our partners, our children, our friends, colleagues and so on. Presencing is the first step to reconnection. Looking into the eyes of our partners is to find their soul, their essence and their beingness. Crossing the bridge to your partner’s neighborhood allows one to discover their authentic self, perhaps for the first time. It encourages the survival role to recede and for the essence to emerge. Demonstrating a deep sense of appreciation and high regard for the other will bring about change, leaving the relational space clean and uncontaminated. The encounter produces the chemo-therapy that the brain divinely gives us for connection. The production of oxytocin emerges to restore our equilibrium and sense of well-being. In addition Schliefer states that “to achieve these goals of earnest re-pair after a distressing rupture, the therapist must create a contradiction. The therapist must establish a relational and emotional ambiance in which both the mutual expression and acceptance of deep regret as well as genuine forgiveness can take place (Schliefer, 2015) .” The environment where this can occur must be safe. Chopra, D. (2015). Deepak Chopra Quotable Quotes. Brainy Quotes. Cohen, L. (1956). Leonard Cohen Quotable Quotes. Good Reads. I just want you to know that the care and love you brought to your precious pet is unsurpassed. You demonstrated what the word devotion means and I hope use use that love and compassion to your human patients.